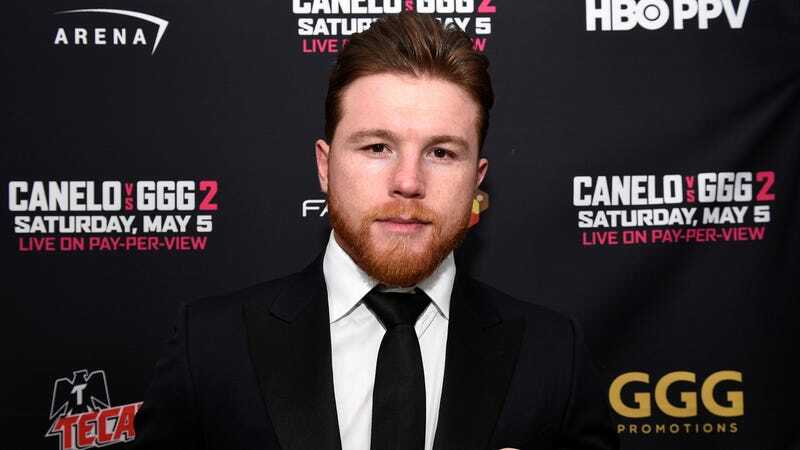 After a positive drug test for a performance-enhancing substance, Canelo Álvarez has officially withdrawn from his May 5 rematch with unified middleweight champion Gennady Golovkin, whom he fought to a controversial draw last September. Álvarez was temporarily suspended by the Nevada State Athletic Commission in March, following two positive tests in February for a steroid called clenbuterol. If upheld, this would be Álvarez’s first doping offense; he blamed the test results on tainted meat. Álvarez’s hearing with the NAC is scheduled for April 18—if he loses, he’ll be suspended for a minimum of six months. Any suspension would be applied retroactively to the date of the positive test, though, which would allow the Canelo-GGG rematch to be rescheduled for Mexican Independence Day weekend in September.